This event has sold out. Keep an eye on our Facebook page for an opportunity to win a pair of tickets! WNYC's Snap Judgment returns to Los Angeles on Saturday, September 17th. Join Snap Judgment host Glynn Washington and KPCC for a live taping of the hit show that has been electrifying audiences nationwide. Snap Judgment's stage show dares the audience to see the world through another’s eyes. Featuring the world’s finest storytellers backed by the Snap Judgment band, Snap digs deep to deliver raw, compelling stories. You'll laugh, you'll cry, and you'll laugh some more. Join us Saturday, September 17, 2016 at The Theatre at Ace Hotel for storytelling…with a beat. 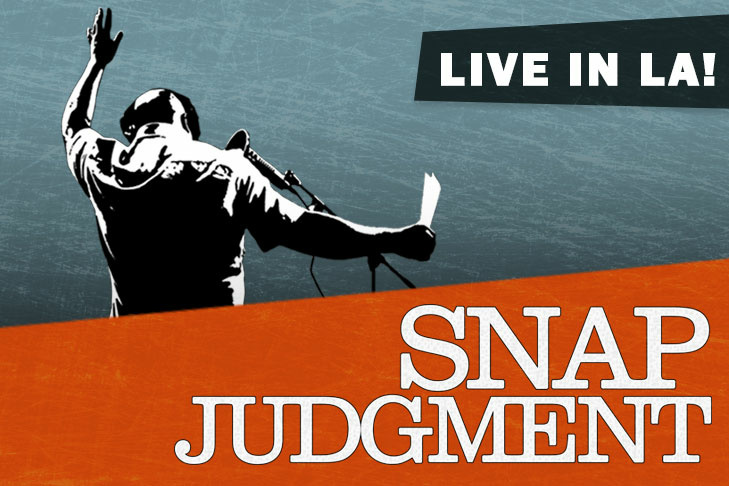 Tune in to Snap Judgment weekly on 89.3 KPCC (Saturdays at 4pm and Sundays at 3pm). WNYC Studios' Snap Judgment is heard weekly on over 400 public radios stations, and downloaded over two million times a month.